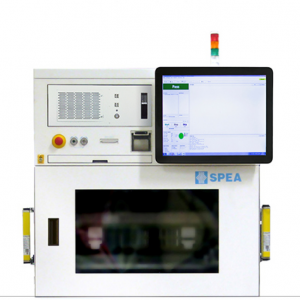 Since 1976, SPEA has been engaged, with creativity and innovation, in designing and manufacturing the best test equipment for microchips and electronic boards. The key to success of SPEA lies in its products: state-of-the-art innovation and adaptability to the different customers’ needs. By investing significant resources in R&D and engaging the most talented minds, SPEA manufactures testing solutions that, year after year, are confirmed as the most effective, the most advanced and the most competitive on the market. Unitest, the best tester for power applications of the 90’s. 3030, bed-of-nails still unmatched in terms of productivity. MEMS Test Cells series, the first complete test solution for MEMS in the world. 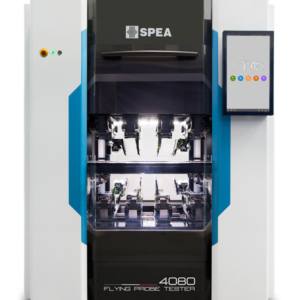 Innovative machines and absolute reliability which let SPEA gain the confidence of the most prestigious customers: SPEA testers are currently used by the most technologically advanced industries all around the world. SPEA’s systems are designed to respond to new and unpredictable needs: in a world characterized by quick and continuous changes, the ability to adapt flexibly to diverse and specific needs is a precious advantage. This is possible thanks to the close partnership between the SPEA R&D Department, the most important producers of technology, and the best universities, which allow SPEA to acquire a strategic viewpoint on technologies of tomorrow.